Paperback, with flaps, 288 pages, 11.8 x 18.7 cm, 4.6 x 7.4 in. 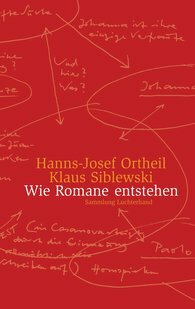 On writing between art and artisanship: using numberless examples, writer Hanns-Josef Ortheil and editor Klaus Siblewski shed light on all aspects of the creative process – from the first poetic inspiration and the drafting of scenes and characters, to the problem of handling large amounts of material and putting the final touches to the text. A standard work for authors, literature lovers and every passionate reader.